The latest from this fantastic series (a release every season since 1999) comes with a black winged stilt (cigüeñuela común) on the label. 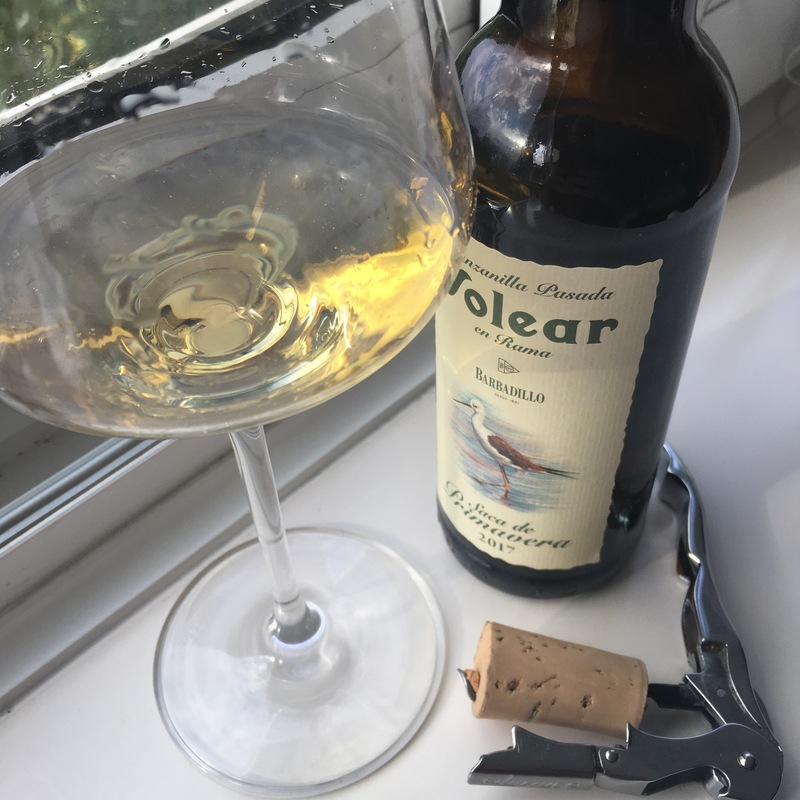 It is a beautiful dark gold colour with maybe just a hint of green, and has a very very pungent nose (almost swimming-pool like in intensity) of salty iodine and sea herbs, almost like seaweed. On the palate it is just an explosion of sapidity, full of life, with really zingy, saline heat and spicey, peppery salad flavours. An absolute belter – love these little bottles and this one seems to have come with a bit of extra oomph.